Top 20 Acupuncturist List for Salt Lake City! We made the Top 20 Acupuncturist List for Salt Lake City! Out of 291 acupuncturist in the Salt Lake City metro area we were selected as one of the Top 20. Expertise.com analyzed and scored acupuncturists on more than 25 variables across six categories to come up with the top 20 scores. Check it out by clicking HERE! Category: Acupuncture, Chiropractor, Natural and Holistic Health Care, Therapies | Comments Off on Top 20 Acupuncturist List for Salt Lake City! Fall ALLERGIES: Say NO to Drugs and Use Natural Remedies! The Fall Allergy Season is upon us again…are you still suffering from allergies? Did you know that there are other ways to deal with allergies besides prescription or over-the-counter medications? The Institute of Chiropractic and Acupuncture Therapy uses various techniques for allergy identification and treatment, including NAET and ASERT, acupuncture, computerized allergy testing and personalized homeopathic remedies. 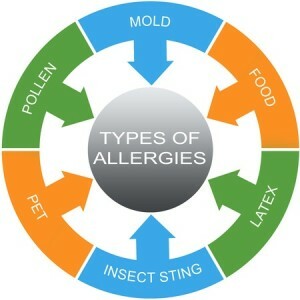 NAET (Nambudripad’s Allergy Elimination Techniques) and ASERT (Allergy/Sensitivity Elimination and Reprograming Technique) are holistic allergy treatments that use acupuncture therapy and other hands on techniques to help desensitize allergies. There are many alternatives to addressing allergies and sensitivities that do not involve drugs or medications! Types of allergies that we can treat are seasonal allergies, food allergies, hay fever, and allergies to pets and other animals. The Institute of Chiropractic & Acupuncture Therapy provides allergy, wellness, and chiropractic care in Salt Lake City and surrounding areas including West Jordan, South Jordan, Sandy, Draper, Taylorsville, Murray, Riverton, Herriman, Bluffdale, Cottonwood Heights, Holiday, Millcreek, West Valley City, and South Salt Lake. We also provide service to patients that come from the Utah County area and as far north as Logan, and even some from out of state…come experience the difference at The Institute! Category: Acupuncture, Chiropractor, Health Conditions, Natural and Holistic Health Care, Therapies | Comments Off on Fall ALLERGIES: Say NO to Drugs and Use Natural Remedies!